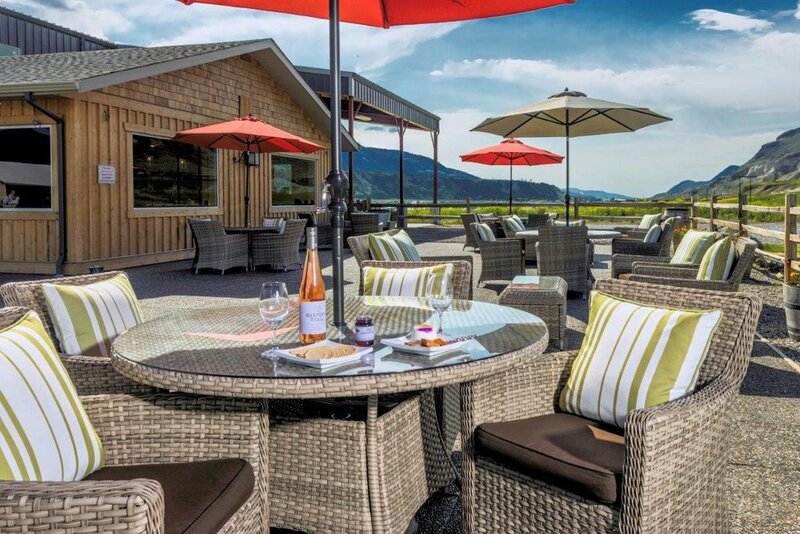 Harper’s Trail has a patio area, with panoramic views of the vineyard and hoodoos. In our picnic area, our wines can be enjoyed by the bottle or the glass. Seasonally, we offer a limited assortment of cheeses, crackers and snacks in our wine shop, but we encourage you to bring your own picnic and plan to stay awhile. As well as our varietals of wine, our wine shop carries an array of wine and non-wine related gifts and souvenir items. Our Patio is Pet Friendly, Wheelchair Accessible, Bus and RV Parking Available. With respect to all of our customers, children must be supervised at all times. Come visit us at 2761 Shuswap Rd, Kamloops BC. CLICK HERE to find a map of the area. Have a safe, stress-free, and fun day at the vineyard! Book with one of Kamloops’ many wonderful tour operators for a day of adventures around the Kamloops Wine Trail or the Okanagan.